Alberta workplaces became smoke-free a decade ago but the Campaign for a Smoke-Free Alberta says more can be done to protect workers from second-hand smoke. Smoke-free advocates say millions of workers have been protected from second-hand smoke over the last ten years but say the provincial government needs to implement a more comprehensive ban. Smoking in most workplaces in the province was banned in 2008 but some say the legislation does not provide sufficient protection for hotel cleaning staff or people working in group homes or hookah bars. Hart says many people who work in hotels, group living facilities and shisha bars are not in a position to demand a smoke-free workplace. Les Hagen is the Executive Director of Action on Smoking and Health and says the legalization of cannabis creates another threat to workplace health and safety. The justice minister says the province is still developing health-related policies around cannabis. Experts say there is no safe level of exposure to second-hand smoke and that over 1,000 Canadians are estimated to die from exposure each year. For more information on second-hand smoke click HERE. 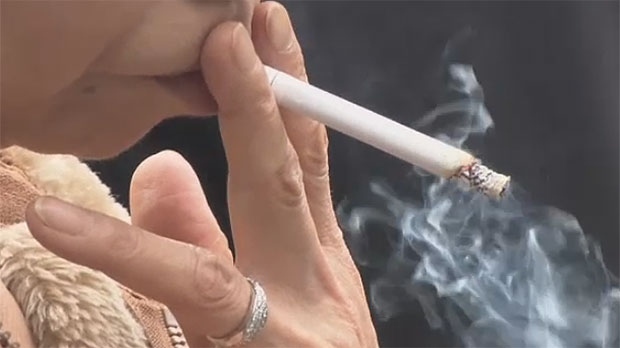 Medical experts say there is no safe level of exposure to second-hand smoke.